TD Bank Technology - NADA from Multi Image Group on Vimeo. TD Bank’s Auto Finance (TDAF) division took automotive acceleration by the steering wheel and put the pedal to the metal, literally. 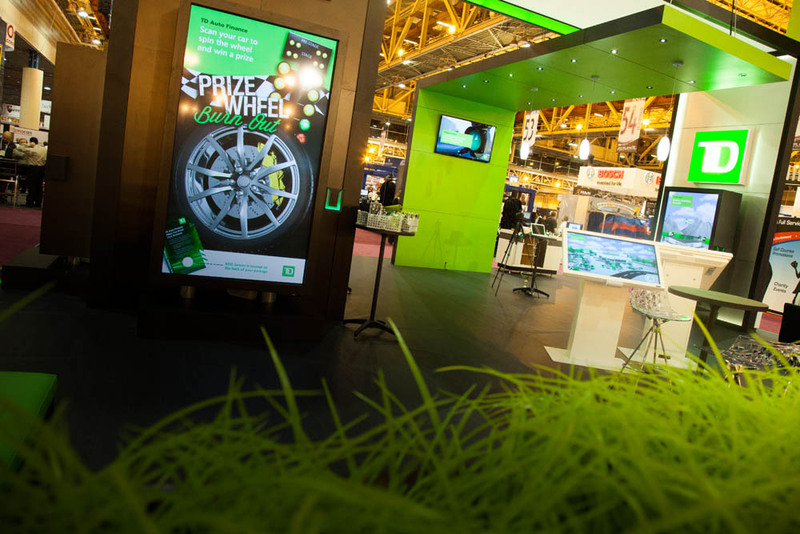 At the National Auto Dealer’s Association (NADA) 2014, MIG created a Virtual Prize Wheel “Burn Out” concept: a custom interactive 103″ touchscreen game, utilizing futuristic RFID and interactive technology. The game was activated by a “Hot Wheels” giveaway, with the custom TDAF-branded packaging designed by MIG, which featured an RFID sticker adhered to the backside. 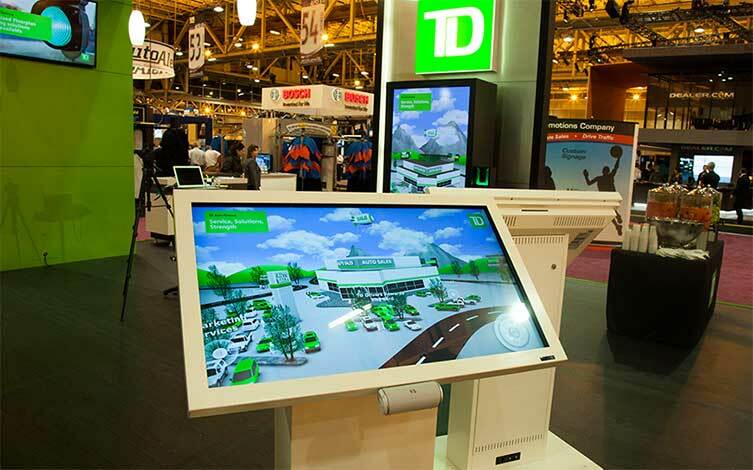 MIG also created a Virtual Dealership touchscreen kiosk for attendees to get to know TD Auto Finance in a fun and interactive way. What a great way to break the ice with existing or potential customers! 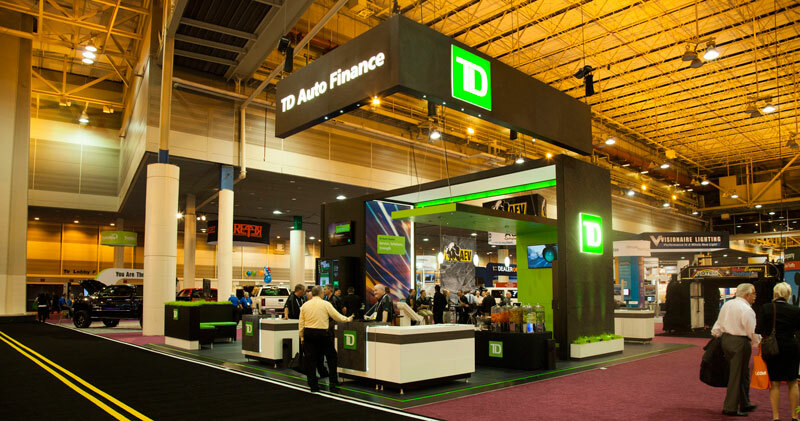 TD Bank Auto Finance, partnered with Multi Image Group, was named a top 4 finalist in the 2014 Expo E.X.C.I.T.E Awards for “Best Interactive Exhibit” and “Best Use of Event Technology” for their work at the 2014 National Automobile Dealers Association Convention (NADA).